Spa treatments allow you to improve your general health and wellbeing. 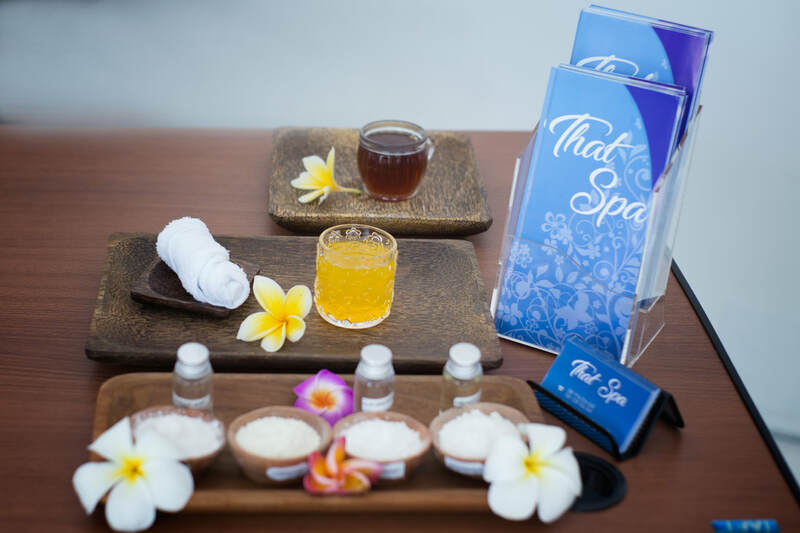 In Bali, spa is one of the main attractions that draw visitor from around the world as Bali is also known as one of world’s spa capitals and frequently become a winner of AsiaSpa Awards –the most anticipated event in the industry. A good spa treatment will help you to improve your blood circulation, rid the body of toxins, take care of your skin, and also decrease the amount of stress and in general will improve your wellbeing. Thus, nitpicking the best spa in Bali is essential. Here they are seven spa types that you can consider in Bali. 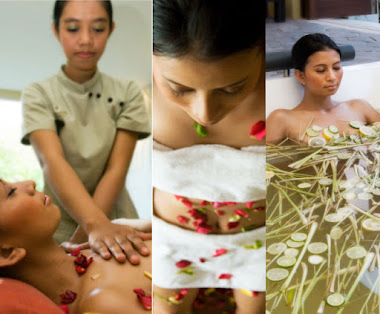 Also known as medical spa, the healing spa treatment in Bali uses holistic approach, adopting Balinese balance of life philosophy which involves traditional beauty detoxification treatments and even offers an organic raw vegan menu. Healing ritual includes a combination of meditation, deep bodywork, and energy distribution that performed by healers whose gifted talents has been handed down through generations of Balinese families. Some of the yoga class also combines here in which balance the method of relaxation with the session of Hatha Flow, Restorative, Vinyasa, Balinese Kundalini, and Yin session. Bali is one of few places in the world that has several resorts primarily model as healing spa destination. If you’re interested in this spiritual session, Ubud (Central) and Canggu (South West) area are well known for places of several healing spa resorts. It is widely regarded as the oldest form of healthcare in the world, derived from the Sanskrit; ‘ayurverdic’ means “the knowledge for long life”. Although it is originally a holistic approach that applied on healing spa and has been proved to be useful in treating serious health conditions, today the treatment has been combined by resort spas as main spa treatment with mostly for relaxation and rejuvenation. Ayurvedic spa treatments are based on herbal preparations, a custom blended aromatherapy oils that are usually used by therapist in order to massage your vital chakra points for reaching mental relaxation. 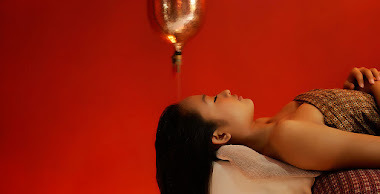 This treatment can be found at numerous spa resorts in Bali from pure Ayurvedic method to combination of spa package that includes the Ayurvedic spa concept with body massage and body cleansing. Talking about spa in Bali, most people may refer to the famous Balinese massage especially for its foremost technique of using the fingers and palm of the hand with movement variations such as press point and palm pressure. One of the main goals of the Balinese massage is a relaxed state of mind by flowing the blood, oxygen, and energy throughout the body. Almost any spa spot in Bali has this treatment on their list. While Balinese massage has its own fans, another specialty of Balinese spa that is a signature recipe is called boreh. Boreh is a Balinese natural healer formed like scrub made of natural herbs and spice mix. It is rubbed all over your body and it produces a heating sensation which is used as a curative and a preventative treatment. Due to the ingredients direct heat away from the body core and into the edges, pregnant women are advised to avoid this treatment. Generally, Balinese boreh with the body heating sensation is recommended for the treatment of headaches, muscle aches, arthritis, and chills. If you’re interested with this unique spa treatment, many spa spots in Bali offer this treatment as one of their highlight, especially spas that designed on traditional approach. 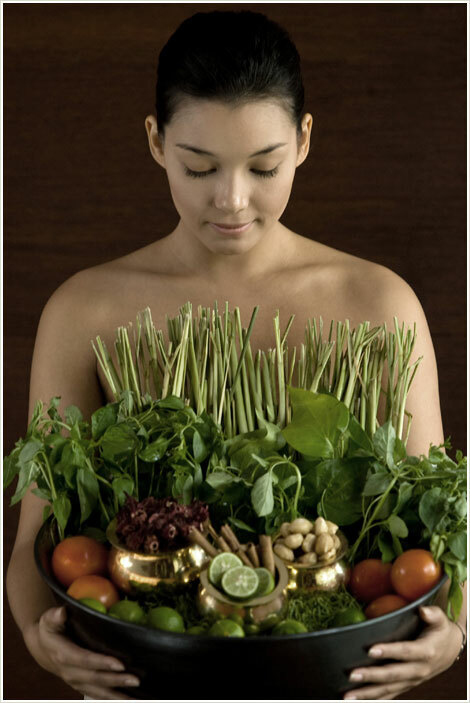 Have any of you wondered how Indonesian women treat their tanned skin to be even more smooth and natural? Since decades ago they were already familiar with mandi susu (milk bath) and mandi lulur (scrubs bath), beauty treatments that were used by Javanese princesses for centuries as a nursing of youth. Mandi susu is a traditional beauty bath made of milk from goats, sheep, or cows while mandi lulur is a polishing of body involving a paste made up of herbs and mix of turmeric, temu lawak (Curcuma Xanthorrhiza), sandalwood, jasmine, and rice powder that have been soaked in water and blended into a scrub. The resulting effects for both treatments are for beauty purpose that is softer skin and improved skin quality. Any beauty spa treatments in Bali will have this package due to high popularity of this natural beauty treatment. You can visit one of major spa spots in Kuta or Seminyak area for consideration. You need to travel around to far North Bali to get this natural spa treatment, but every single thing is worth it. Generally, a thermal spa built around a hot spring that is formed from heated water from the earth’s crust that contains a high number of minerals that can have a number of healing benefits and therapeutic values, increases blood flow and body metabolism, improve nourishment to vital organs and muscles, and removing unwanted toxins from the body. Banjar Hot Springs, locally referred as ‘Air Panas Banjar’, located approximately 5 km from the famous Lovina coast of North Bali which can be your stop over, or further 45 km to the west is the Banyuwedang Hot Springs in Pemuteran, a village that is known for its coral reefs preservation is also a good choice for health purpose and idea of travelling to another side of Bali. Known as Doctor Fish, that refers to Garra Rufa, a fish species that consumes dead skin of your feet. You may wander around Legian or Kuta Street and notice fish tanks in front of stores with little fish swimming. It is very common in Kuta as fish spa blooms in many Balinese spa and massage places. If you never had this experience, you would find it a bit ticklish and unsettling when they start to nibble all over your feet. But you would get use to it in less than a minute. With roughly about $5, you already have twenty minutes of being nibbled by those tiny fishes. Try it when you’re in Bali. Pretty easy to find in central tourist area of Kuta or main shopping centers. This might be the simplest form of treatment you can easily get throughout the island to get an instant body relaxation without too many complicated rituals. By visiting beaches in Bali, from Sanur, Kuta to Canggu, perfectly in the sunny day or in the afternoon with sunset, there are always lined women with strong hands and hearts move toward you for massage. The good thing is you won’t be disappointed. Lie down on the sun bed as the masseur massages your body while sunbathing or enjoying your drinks and the sunset. Sometimes the best things in life are the cheapest and this 5-buck massage is one of them.